Apple Computer's latest retail store, located at 767 Fifth Ave. between 58th and 59th Streets in New York, will open Friday at 6 p.m. EDT. The underground store, which is marked by a 32-foot street-level glass cube with an Apple logo, will stay open 24 hours a day, 365 days a year. The 10,000-square-foot Apple store on Fifth Avenue will have the largest staff of any Apple store, with nearly 300 employees on hand. 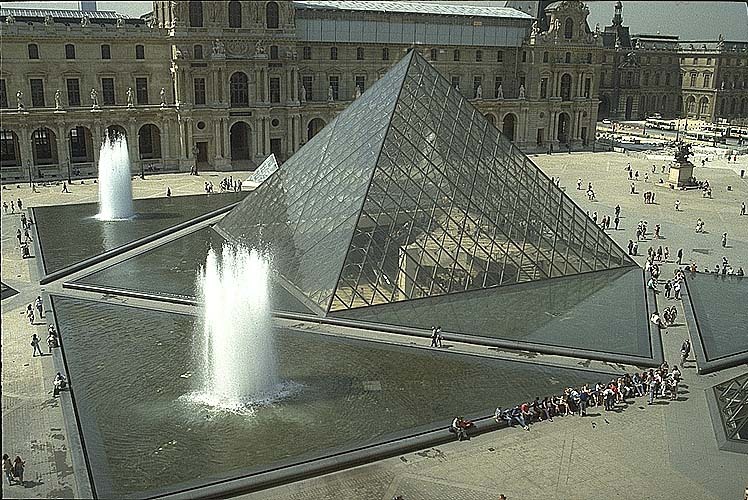 The glass entrance bears a resemblance to the exterior of the Louvre Museum, which is marked by a glass pyramid designed by I.M. Pei. A spiral staircase leads down to the main floor of the Fifth Avenue store, which was designed by a team that included Steve Jobs; Ron Johnson, senior vice president of retail for Apple; and Peter Bohlin of the architectural firm Bohlin Cywinski Jackson. Apple's new retail store will feature a combined 45-foot Genius Bar, iPod Bar and The Studio, where customers can get face-to-face support, free advice and work on creative projects at any hour of the day or night. The new Apple store offers more than 100 Macs and nearly 200 iPods for customers to try before they buy. The Fifth Avenue store is Apple's second New York retail shop. The first opened in the city's SoHo district in 2002. In April, the cube-shaped structure that would become the entrance to the latest Apple store was still under construction in Manhattan. Employees of the new Apple store on Fifth Avenue practice their best "May I help you?" stance. Staffers at the "iPod Bar"
Staff will be on hand at the "iPod Bar" to serve up answers to questions about the music players. At "The Studio," one of the help desks in Apple retail stores, customers can get product answers and advice. Click here to watch a video of Apple's Ron Johnson talking to the media about the new store. Mac maker's latest retail undertaking is an underground N.Y. store marked by a street-level glass cube.